Turn off the heat and wait till pressure cooker's temperature cools down. 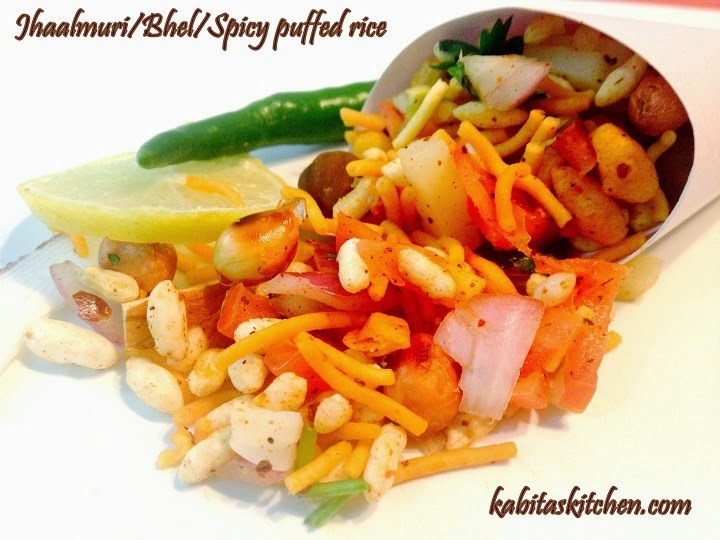 In a big bowl: add all ingredients together except puffed rice. Add puffed rice and mixed properly in the mixture. Decorate it with bhujiya and sliced coconut and serve immediately. Turn on the heat and put the cooking pan over it, let the pan heat. Add chopped palak or spinach into the pan and spread it in pan. Add little salt to cook the palak and cover the pan for 4-5 minutes on medium heat. Add chopped green chilli, chopped garlic cloves into the palak and cook it for another 2-3 minutes(cover the pan). 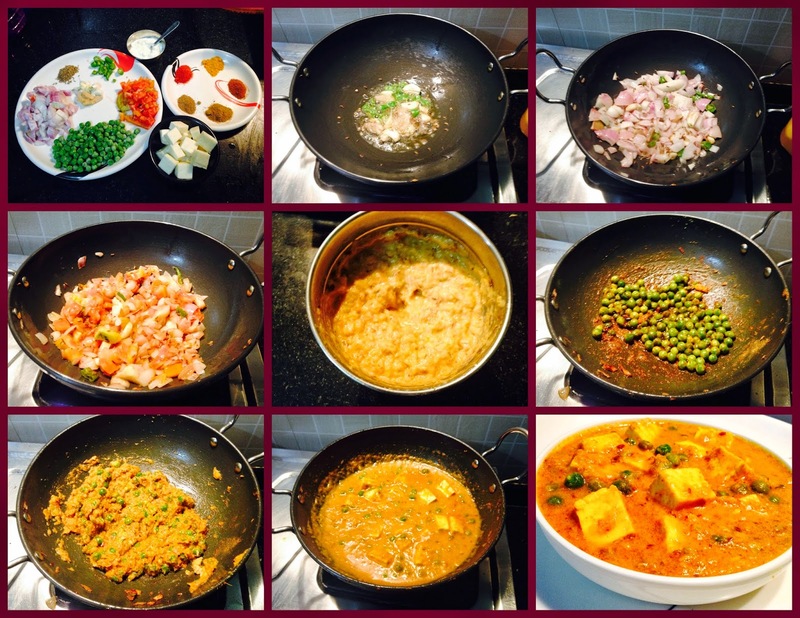 Add chopped onions, chopped tomatoes and mix it with palak.Cover the pan and cook it on low heat for 4-5 minutes. 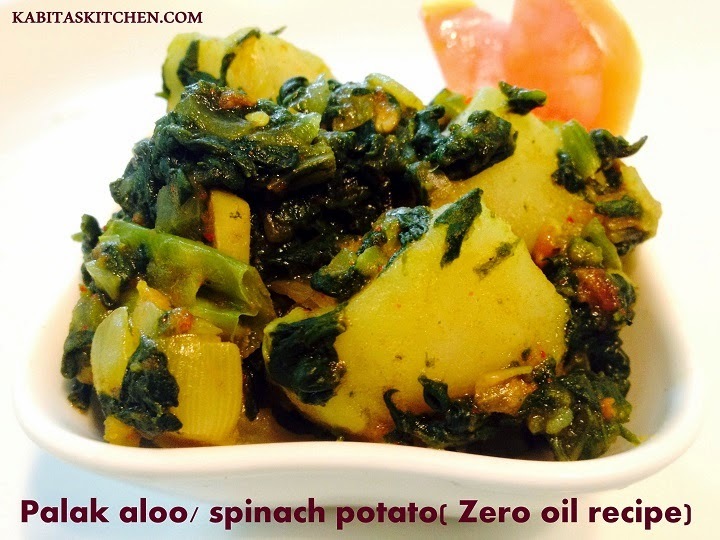 Add boiled potatoes and little salt and mix it with palak.Cover the pan and cook it for 1-2 minutes. Turn off the heat, serve hot with roti, phulka or chapati . 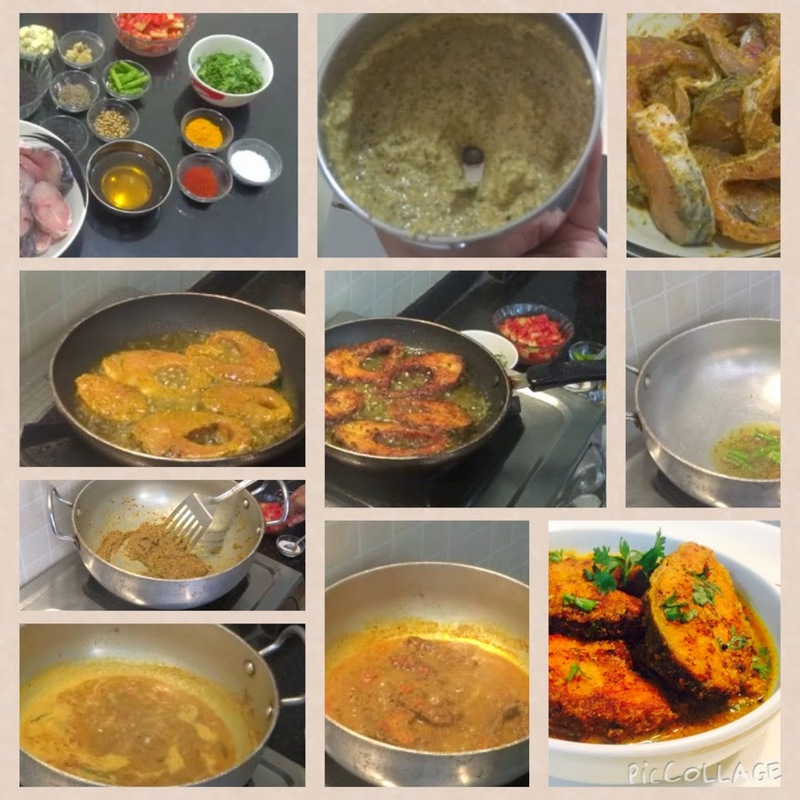 In a big bowl: add gram flour(besan), curd, turmeric powder and two cup of water. Mix all ingredients using spoon or hand blender until smooth batter (ensure that there are no lumps). Heat oil in a pan, add cumin seeds, mustard seeds, dry red chilli, curry leaves and allow them to crackle. Add the prepared batter in the pan and stir, cook it on medium flame for 3-4 minutes. Add a glass of water and stir continuously for a minute. Allow it to boil on medium heat(Stir in between). 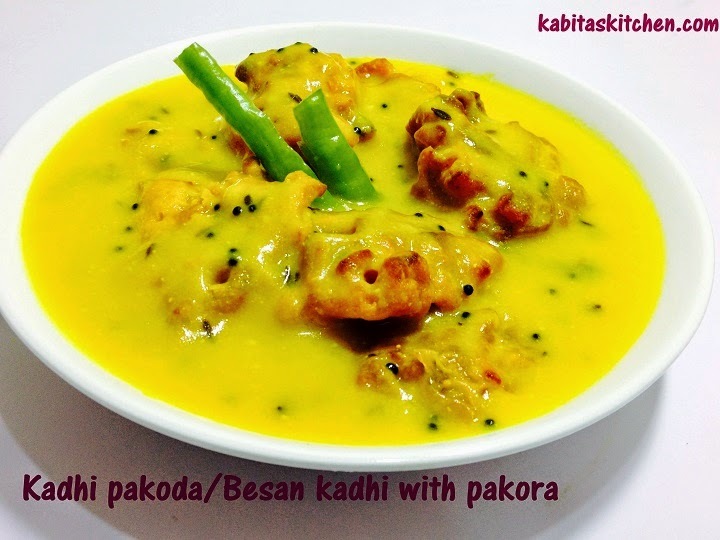 When kadhi begin to boil, simmer the heat and cook it for 4-5 minutes more. Add salt to taste, after turning off the heat to make perfect kadhi. 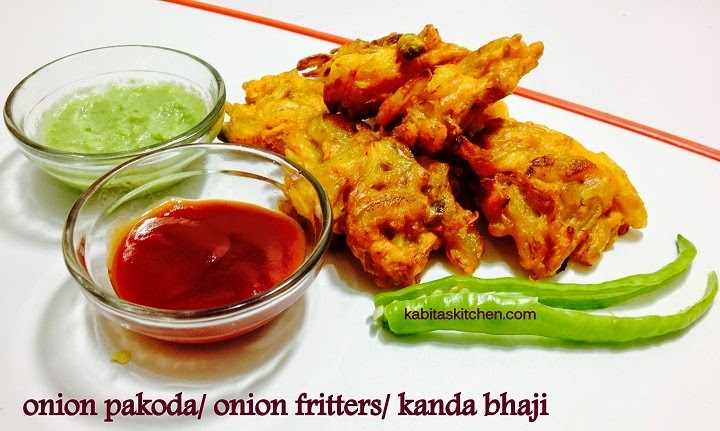 Add fried onion pakoda in the kadhi and leave it for 4-5 minutes. 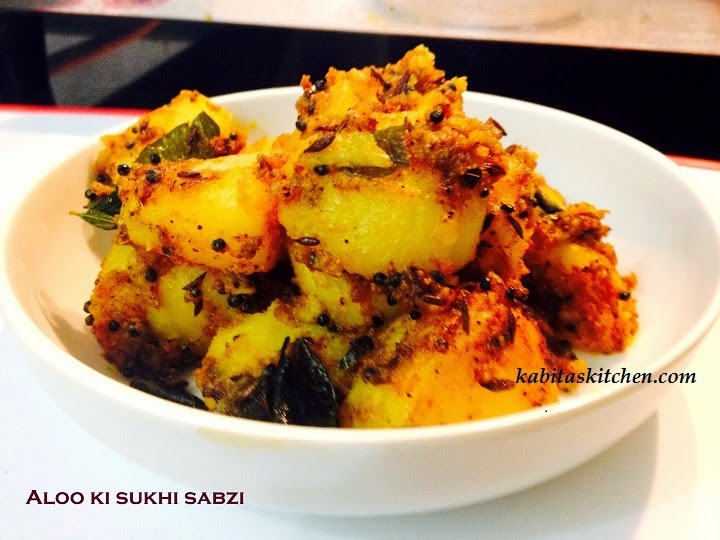 Serve with plain steamed rice or jeera rice. In a bowl: add all ingredients and mix well with the help of little water. Keep it aside for 10 minutes. Heat sufficient cooking oil in a deep pan (heat oil more than normal). Take small portion of mixture on hand and drop it gently into the heated oil one by one. Flip it to cook other side. Repeat the process twice to fry the pakodas from both sides. When the pakoda turns brown then take it out on kitchen towel to absorb extra oil. Add the curd, 1/2 tsp turmeric powder, 1/2 tsp red chilli powder, 1/2 tsp salt, chopped green chilli and ring shaped chopped onions in the mutton and mix it properly. Keep it aside for 20 minutes. Put together the cumin seeds, coriander seeds, garlic cloves, cinnamon sticks, javitri, chopped ginger, whole black pepper with little water in the blending jar. Grind it till it turns into a smooth thick paste. Turn on the heat, put pressure cooker pan on heat and let it heat. Add cooking oil and let the oil heat. 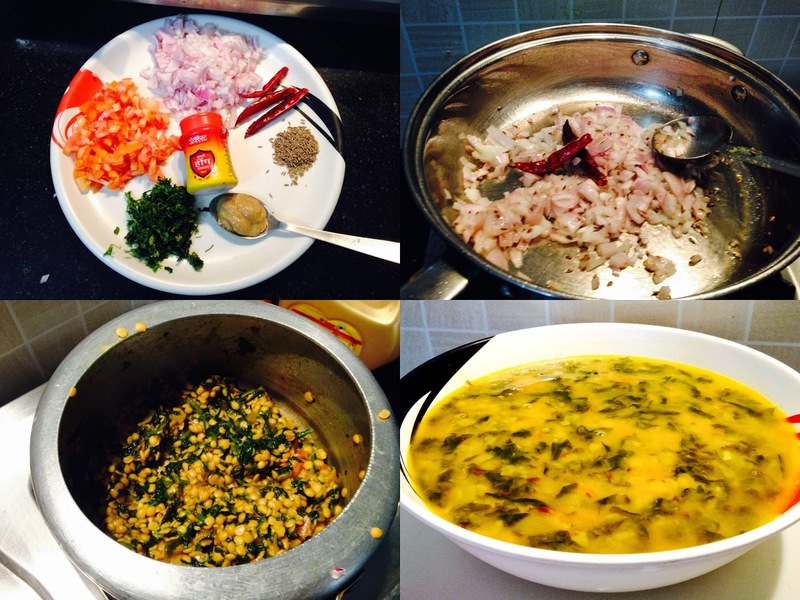 Add bay leaves, dry red chilli and cumin seeds and fry it for few seconds. Add chopped onions and fry it till it turns light brown. Add turmeric powder, red chilli powder and mix it properly. 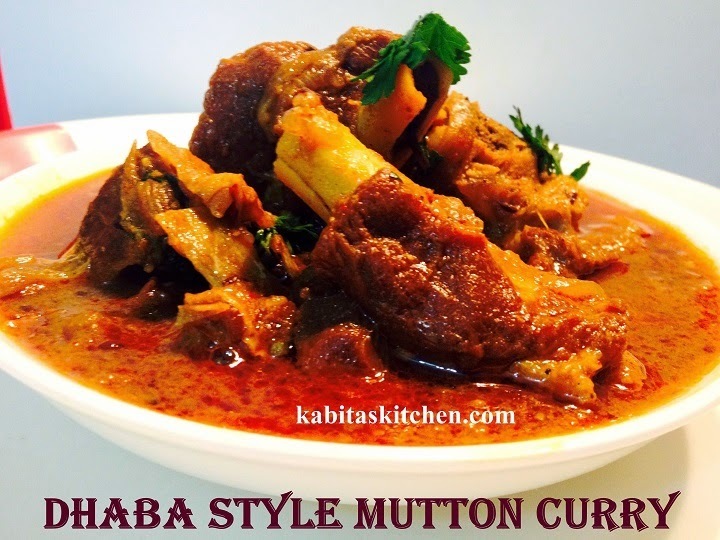 Add marinated mutton in the pan and mix it. Cook it for 10-15 minutes on low heat(cover the pan without whistle). Add blended masala paste and fry it till oil get separated in the pan from the mutton..
Add a glass of water, garam masala powder, chopped coriander leaves and stir it. Cover the lid of pressure cooker and cook it for two whistle on medium heat. 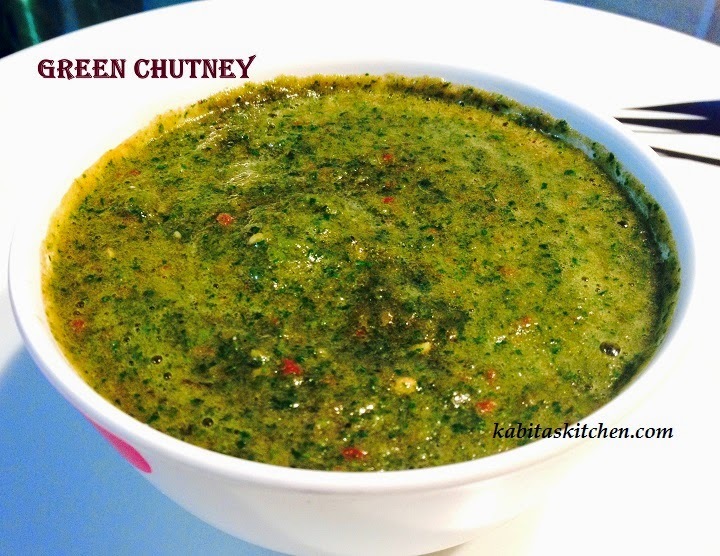 Garnish with fresh chopped coriander leaves and serve hot with roti or rice. Put together the cumin seeds, coriander seeds, garlic cloves, ginger, whole black pepper with little water. Grind it till it turns into a smooth thick paste. 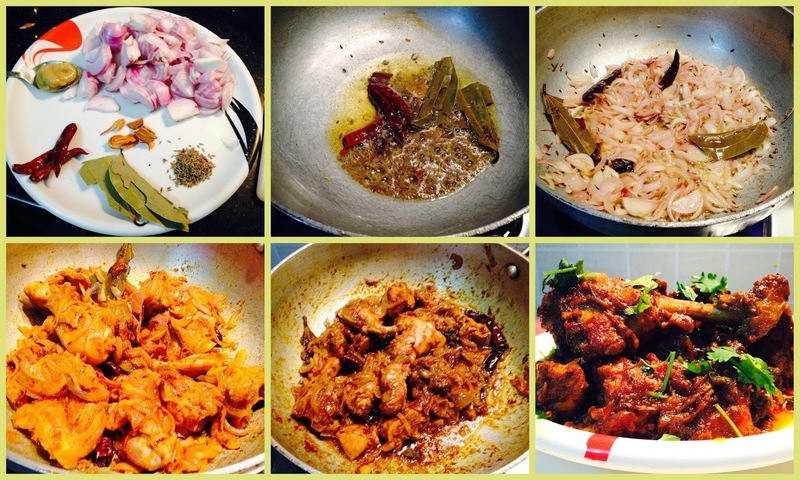 Add blended masala paste in the fried onoins and fry it till oil get separated in the pan from the masala. 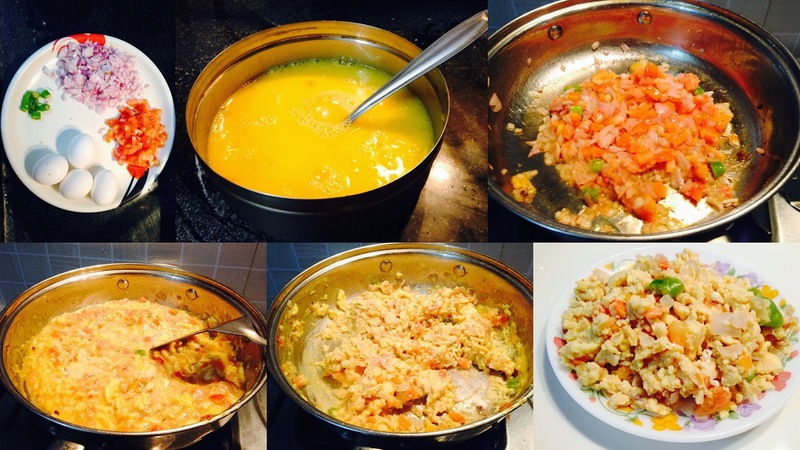 Add chopped tomatoes and cook it till it turns soft(cover the pan). 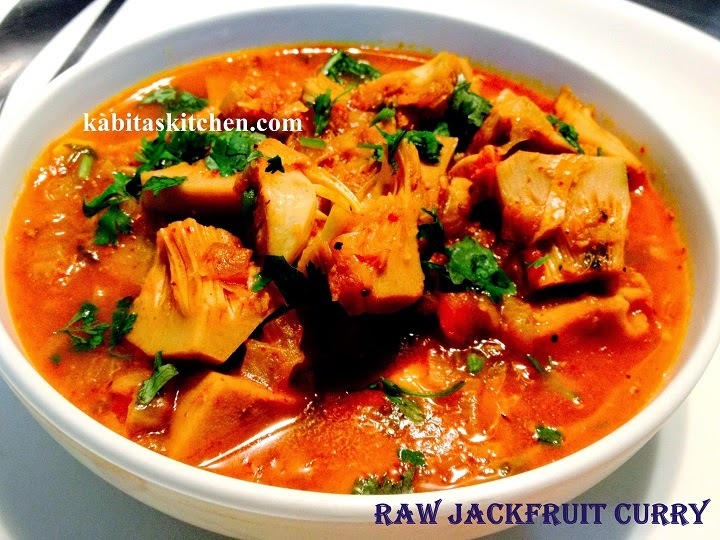 Add raw Jack fruit in the pan and mix it with masala. Add salt to taste and cook the entire ingredients for five minutes by covering the pan. In a cup: add coffee powder and warm water and whisk it. 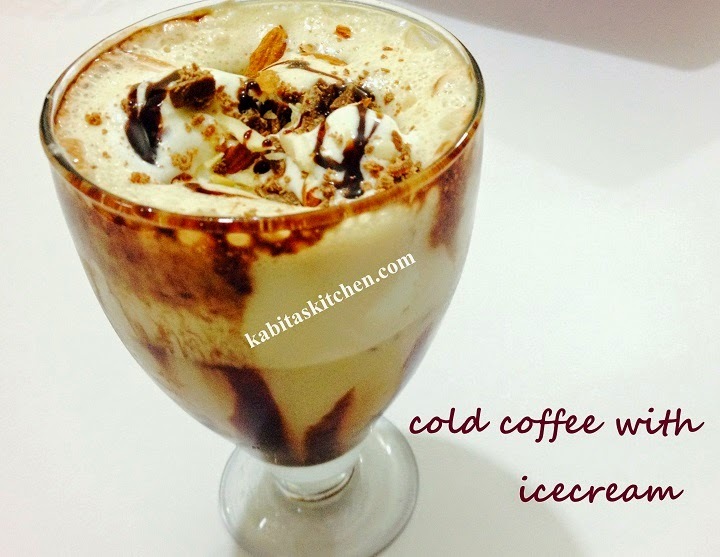 In a blender jar: add chilled milk, add sugar, blended coffee syrup, ice cubes and a scoop of vanilla ice cream. Blend it for 30 seconds to make a smooth shake. Coat the serving glass with chocolate syrup from inside. Pour the blended coffee shake into a serving glass and decorate with grated almond, cashews and chocolate syrup. First grind the chopped onion(1 large),cumin seeds(1 tsp),coriander seeds(1 tsp), chopped ginger,garlic cloves and whole black paper into a smooth paste. Marinate the egg by adding turmeric powder and salt. Heat oil (1 tbsp) in a pan,add eggs and fry till the eggs get lightly browned. Heat oil(2 tbsp) in the same pan and add cumin seeds,bay leaf,green chilli and let it splutter. Add chopped onions and fry till slightly golden.Add turmeric powder,red chilli powder in the onions. Add chopped tomatoes and cook it until it turn soft. Add the masala paste in the pan and fry till the oil begins to separate from the masala.Add 2 cups of water in the pan and bring to boil. Add fried eggs and salt in the gravy and simmer the flame for 4-5 mins. Add garam masala and turn off the flame. 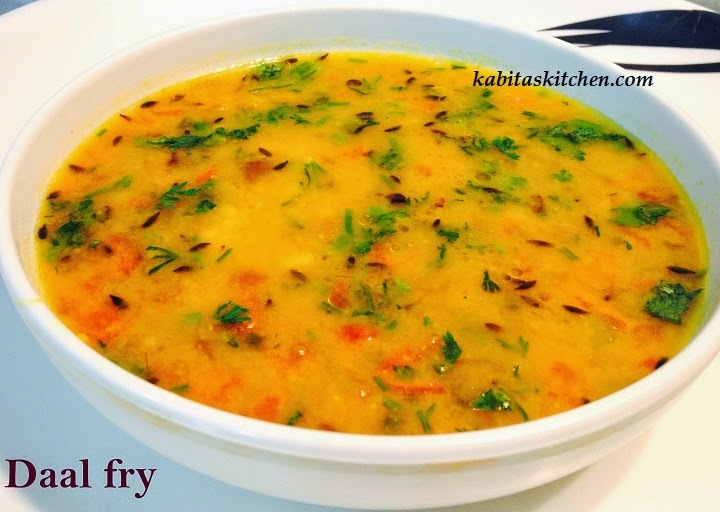 Garnish with chopped coriander and serve hot with roti and rice. Heat oil in the pan,add cumin seeds,green chilli and let them splutter.Add chopped onion and fry it for 4-5 mins. Add chopped ginger and garlic and fry it for another 2 mins.Add chopped tomatoes and fry till it turns soft. Blend all the mixture (fried mixture) in grinder and grind it into smooth paste. 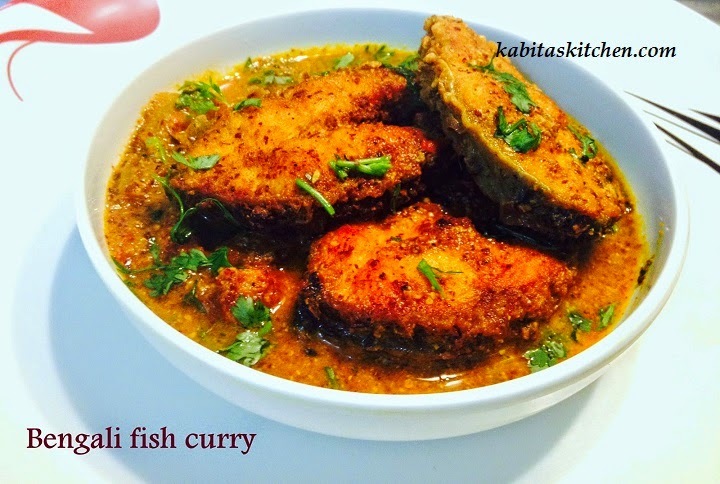 Add 1 tbsp oil in the same pan and add green peas and fry it for a minute,add turmeric powder,red chilli powder,cumin powder,coriander powder and fry it until the raw smell of masala disappear. Add blended paste in the peas and fry it for 3-4 mins,add yoghurt/curd in the mixture and stir. Add 1 cup water and let it boil,add paneer(cottage cheese) and salt.Cook it for another 5 mins and turn off the flame. Ready to serve with Naan ,kulcha,roti or pulao. Soak the chickpeas in the water overnight or 8-10 hours. Boil the chickpeas in the pressure cooker with 3 cups of water, one tsp turmeric powder and one tsp of salt(3-4 whistle). Drain the water from chickpeas and keep the water aside. Heat oil in a pan, add bay leaf, cumin seeds, kasuri methi, dry red chilli and fry it for few seconds. Add chopped onions and fry it till they become transparent. Add ginger garlic paste and fry it for a minute. Add turmeric powder, red chill powder, chole masala powder, cumin powder, coriander powder, black pepper powder and mix well with onions. Once the raw smell of spices disappear, add chopped tomato and cook it for another 4-5 minutes. 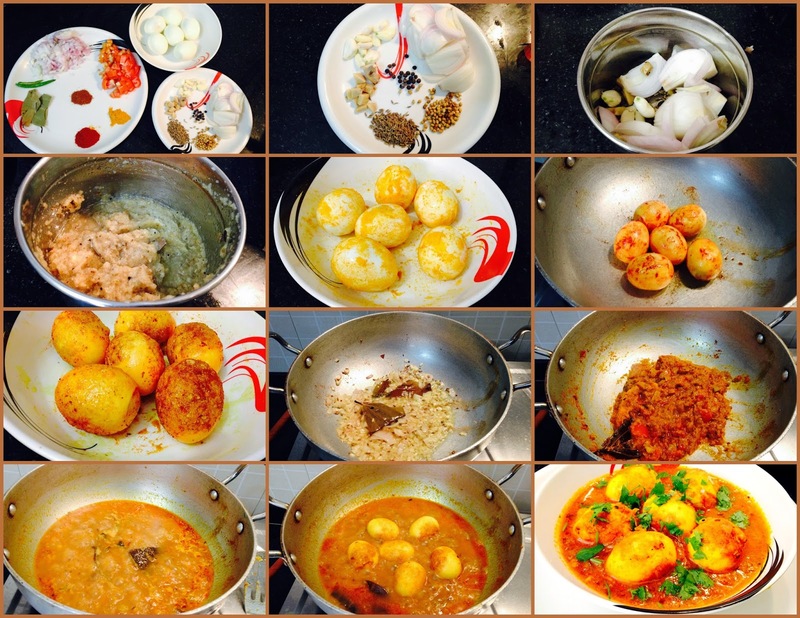 Add boiled chickpeas and fry it for 2-3 minutes along with the fried masala. 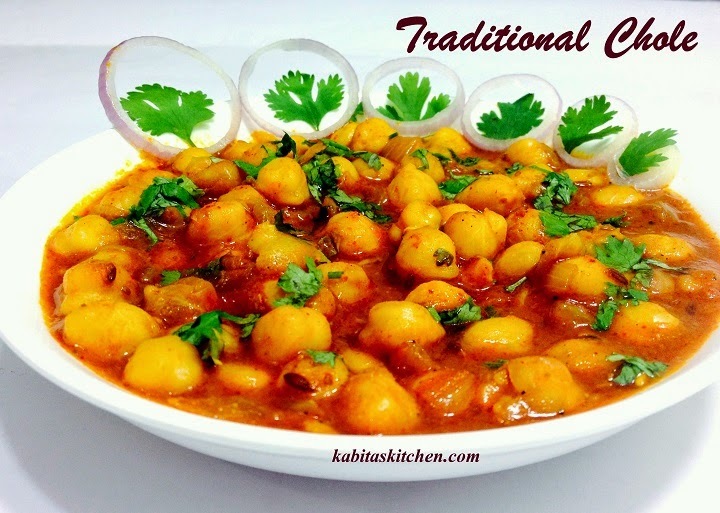 Add boiled chickpeas water(chickpeas stock) in the pan and stir it. Add a glass of water and salt to taste, stir it and let it boil on high heat for 3-4 minutes. Add garam masala powder and turn off the heat. 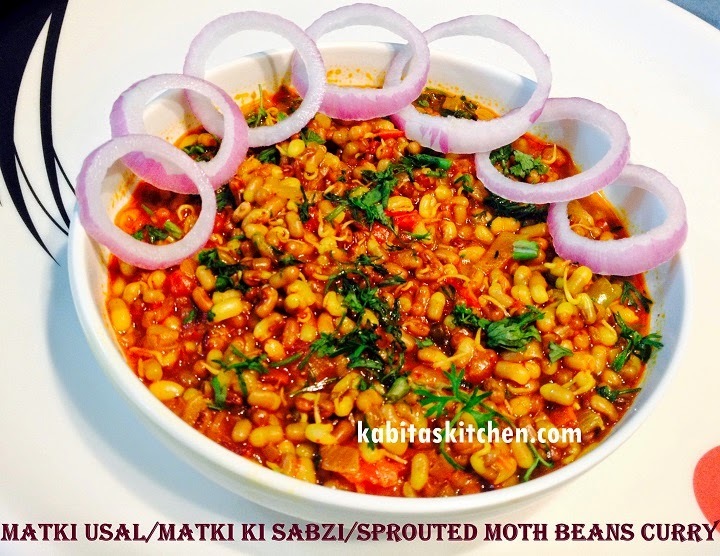 Garnish with chopped coriander leaves and serve hot with Bhature, Puri or Rice. Wash the chicken and marinate with lemon juice,turmeric powder,red chilli powder,ginger garlic paste and salt for 10 mins. Heat oil in a pan and add cumin seeds,nutmeg,bay leaf and dry red chilli. Add chopped onions and fry it for 4-5 mins.Once the onion changed its colour add ginger garlic paste,turmeric powder and red chilli powder and mix it well. Add marinated chicken in the pan and add little salt, mix the chicken properly in the onions and cover the lid. After 3-4 mins ,add chicken masala powder and cover the lid again.Cook it on the low flame. Add some water if required and stir . When the chicken nearly cooked,add tomato ketchup and garam masala and cover it. Turn off the flame and garnish with fresh coriander leaves. Ready to eat with rice,paratha,roti,pulao or as starter. Heat oil in a pan and add cumin seeds, red chilli and Asafoetida. Add chopped onion, and fry till 3-4 mins. Add ginger garlic paste, turmeric powder, red chilli powder and fry it for a minute. Add tomatoes, palak(spinach) and cook it for few more mins. Add toor daal/channa daal in the pan and cook it on medium flame for 2 mins. 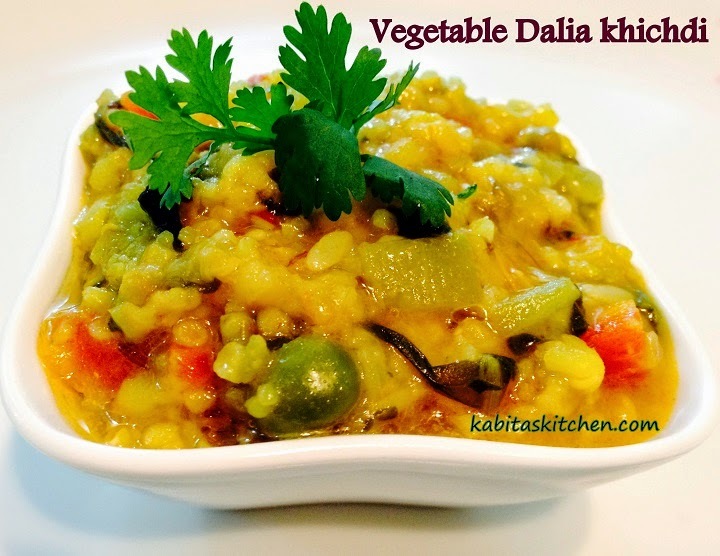 Put the fried daal in pressure cooker, add water, gararm masala and salt. Cook it on pressure cooker for 3-4 whistle ant turn off the flame. Ready to serve with rice and rotis. 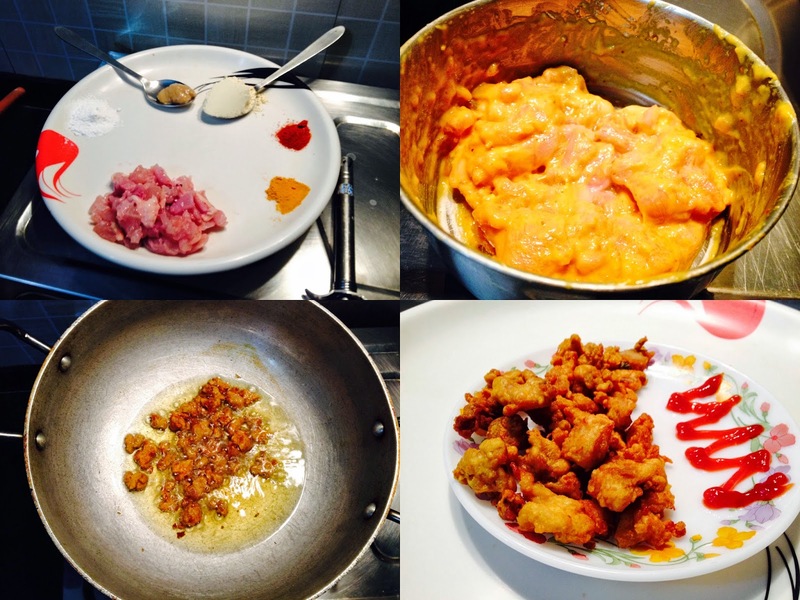 Wash the chicken and Chop it in small pieces (like keema). Add all the ingredients (except oil) together and mix it with little water (make sure that mixture should not be thin). Make small balls (popcorn size) of the mixture. Heat oil in a frying pan, once the oil is heated, lower the flame and put the chicken balls in the oil. Fry them in low flame so that the chicken will be cooked properly. 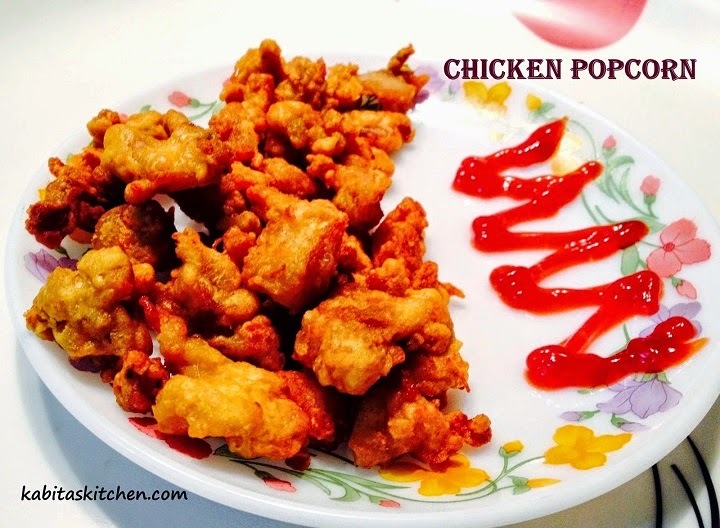 Once the chicken popcorn is fried, remove it from oil and put on the kitchen tissue (tissue will soak the extra oil). Beat the eggs in a bowl and add salt. Heat oil in the pan, add green chilli and onions together, and cook it for 2 mins. Add chopped tomatoes and fry it. Add the beaten egg in the pan and stir continuously until it gets little dry. Turn off the flame and ready to serve. Boil the rice with little salt and drain the water (do not overcook). Turn on the heat and put a pan over the heat. Once the pan is heated, add cooking oil into the pan and let it heat. Add green chilli into the hot oil and fry it for few seconds. Add chopped onions and cook it for one minute, add ginger garlic paste and mix it. 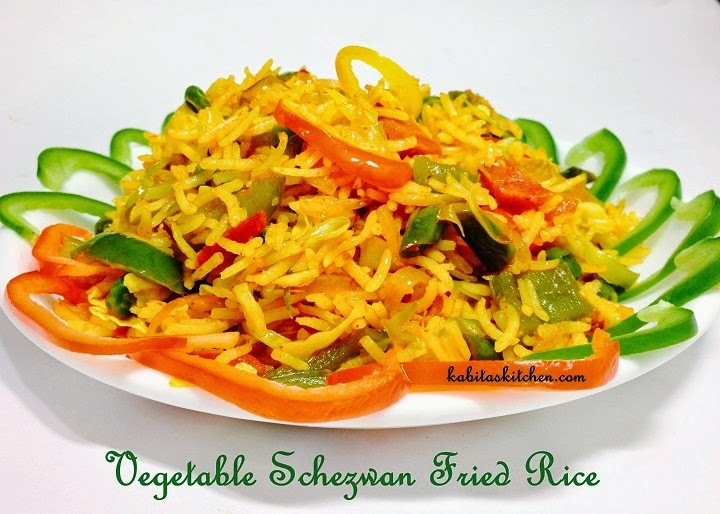 Add chopped cabbage, carrot, French beans, green peas and toss it(do not cook the vegetables too much). 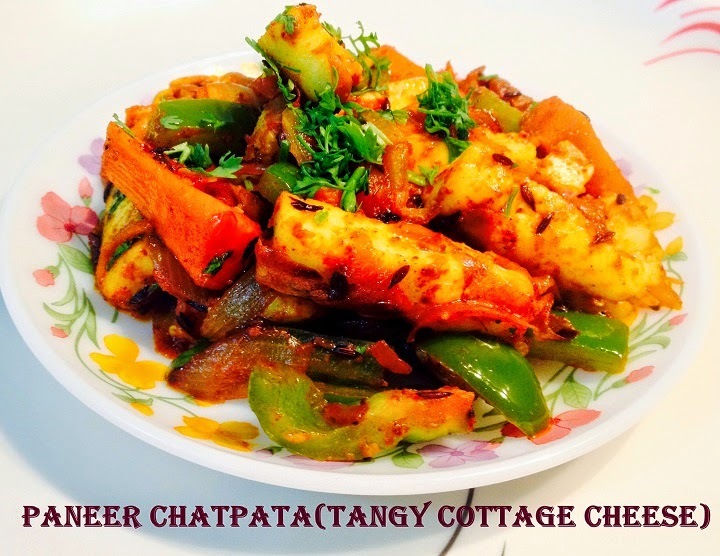 Add chopped green pepper, red pepper and yellow pepper in the pan and cook it for another 2 minutes. Add turmeric powder, red chilli powder, schezwan sauce, salt and toss the vegetables in high flame for 2 mins. Add boiled rice and fry it for two minutes.Turn off the flame and garnish it with chopped coriander leaves or sprig onion. Ready to eat with Manchurian gravy or as it is. Heat oil in a pan, after it is heated, add cumin seeds,red chilli and Asafoetida (hing) and let it splutter for few seconds. Add chopped onion and fry for 3-4 mins. Add ginger garlic paste and cook it for 2 mins, keep steering it to ensure it does not burn. Add tomatoes and cook it for few more mins. Add boiled toor daal in the pan and stir,simmer the flame. 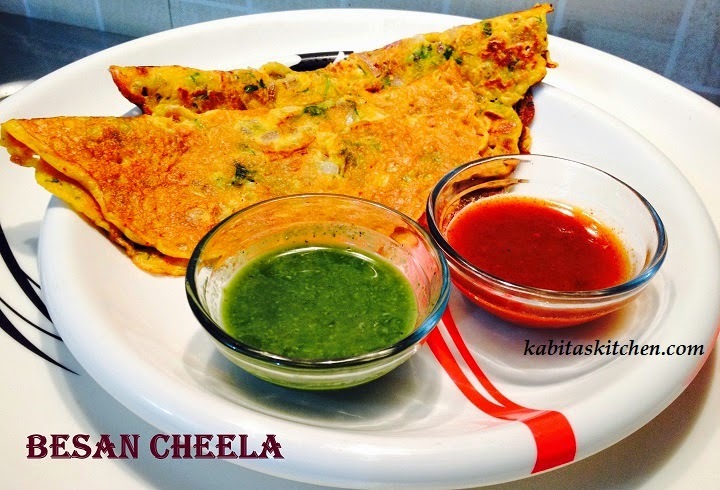 Garnish with chopped coriander leaves and turn off the flame. Boil the potatoes in a pressure cooker(2 whistle). Heat oil in a pan and let it heat, add cumin seeds, mustard seeds, curry leaves together and let it splutter for few seconds. Add turmeric and red chilli powder and mix it. Add ginger garlic paste and fry it till the raw smell disappears. Add the boiled potatoes(cut into small cubes)in the pan and mix well. Add salt and turn off the flame. 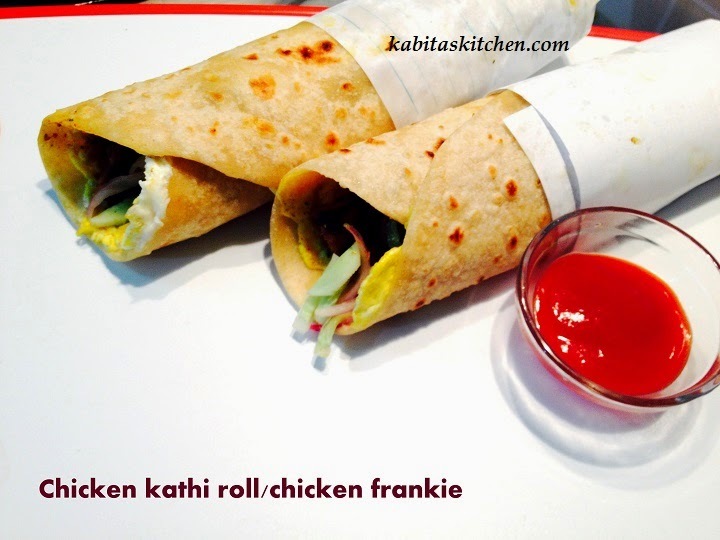 Ready to serve with paratha,roti and puri (ideal for kids lunch box).